Let me poke the hornet’s nest once again with my contention that money would be better spent on music, be it recordings or concerts, than Hi-Fi equipment. Does that mean I think the Codia LP Stabilizers aren’t effective? No, it doesn’t. They definitely have, in my estimation and in my system, a positive effect on the sound of reproduced music. Does this mean I follow my own advice? What do you think? But first, let’s back up a bit. I put my hand up for a few things to review when a bunch of gear became available after Noam, aka my long-suffering editor, met with various folks at the Toronto Audiofest last autumn. 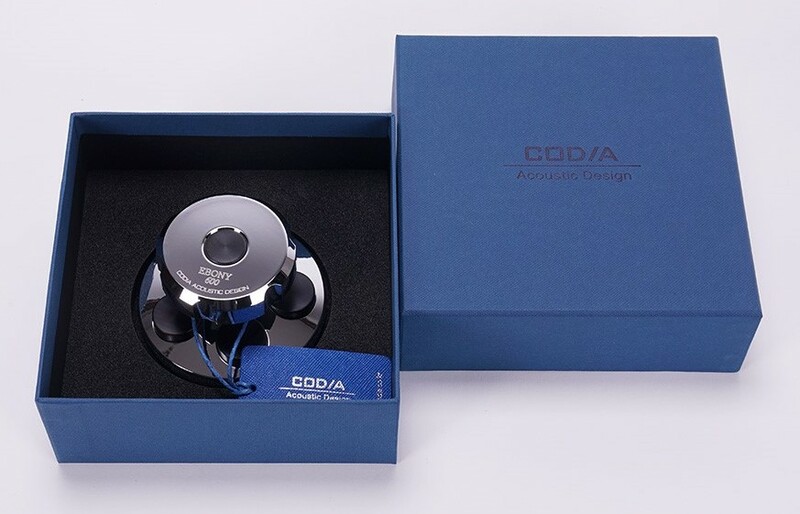 I was beaten to the punch on a few things but managed to score the Codia LP Stabilizers. With the labour disruption at Canada Post, disruptions of another sort in my listening room (floor reno including new carpet), and lethargy on my part, I’ve been tardy at giving the Codia stabilizers my attention. There’s been a sea-change in my system of late. My amplification components, ARC REF 3 and REF 110, the backbone of my system, remain unchanged, though the REF 3 got a new set of tubes early last fall. The PS Audio AC Regenerator remains as well. The PSB Platinum T8’s are gone, replaced with a pair of nearly-new Spendor D9’s. I picked up the Spendors at a knock-down price from an unlucky fellow that was hit with a large maintenance charge from his condo board, and needed the cash to meet that obligation. My digital front end has changed too, but as it didn’t play a part in this review, I’ll leave the details of that change for another time. My analogue front end for the past year or so, is a Pro-Ject “The Classic” SB Super Pack turntable with Ortofon’s Quintet Bronze low-output moving coil cartridge. My “The Classic” has the standard leather mat, as Pro-Ject describes it. The mat has more of a suede feel than a hard leather finish. The phono stage is my DIY Tubecad Aikido, with built-in Lundahl step-up transformers identical to the ones in my K&K Premium SUT review. The Aikido Phono is a sort of “souped up” version of the WoS DIY phono project from a few months back. The Pro-Ject sits on a combination stand/record storage unit I made from ¾” plywood. The top is adjustable so that the turntable can be easily leveled. To isolate the turntable from floor-induced interference, four AudioQuest sorbothane “pucks” are placed on the top of the stand. A 3.6cm x 40cm x 67cm (1.5” x 16” x 26”) piece of butcher block sits on the “pucks”. See below. 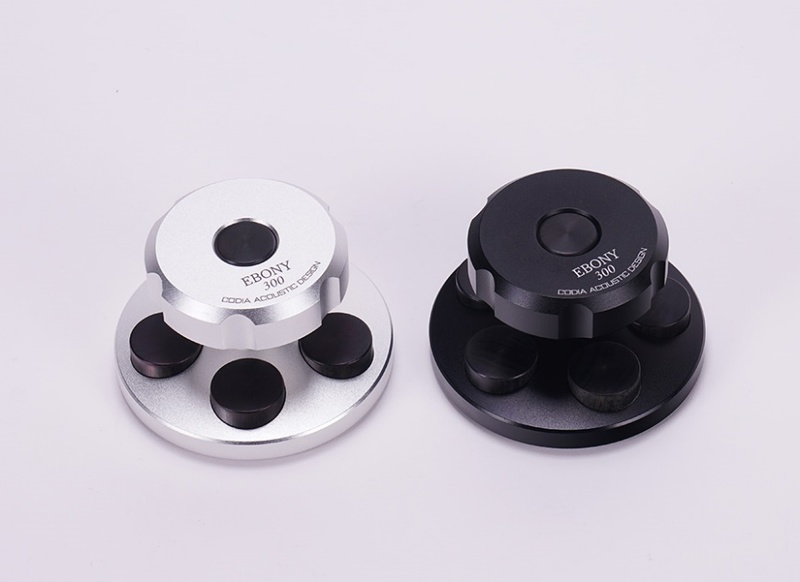 The Pro-Ject ‘table comes with a record clamp that fastens securely to the spindle. Weighing in at 120 grams, the Pro-Ject clamp is out classed by the 300 and 600 gram weight of the respective Codias. By pressing the Pro-Ject clamp against the record, then tightening it, more force than just its weight will be applied to an LP. There’s no way of knowing just how much force is applied though, and I’m sure it varies considerably from record to record. The underside of the Pro-Ject clamp is covered in leatherette. Both Codias, see picture below, have five solid ebony-wood cylindrical inserts that contact the LP label. They also have an ebony insert in the handle. Ebony is a dense, hard, durable wood most often used on the black keys of upscale pianos. The stabilizers center on the turntable spindle with what Codia’s website says is a teflon and carbon fiber composite sleeve. The Codias look identical size wise (I didn’t measure them) – the difference in weight is due to the material used in the upper “handle” part: the 300 uses aluminum, the 600 is stainless steel. The base containing the five ebony cylinders is made of aluminum on both models. 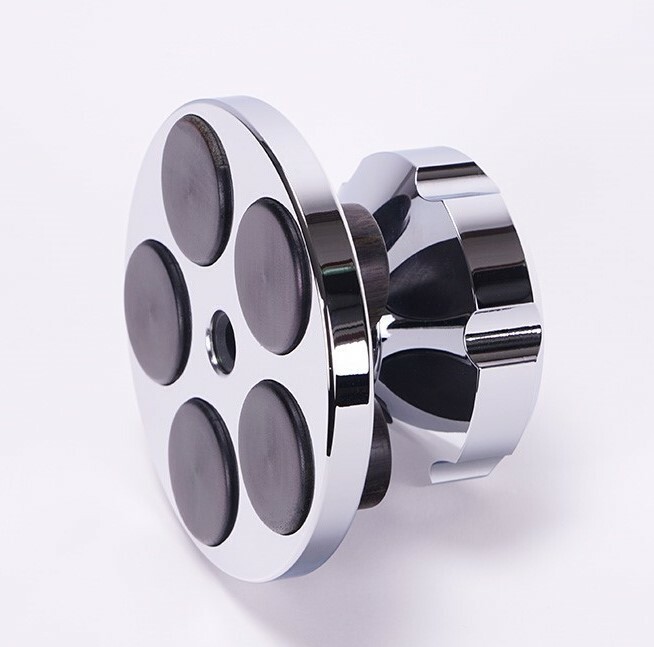 The 300 is available anodized in natural or black, with a matte finish. The 600 looks very bling in its highly polished, mirror finish. The suggest list price for the Ebony 300 is $460 Canadian (~$350 US). The Ebony 600 lists for $650 Canadian (~$490 US). They don’t come in some hideous blister pack. Both Codias are nicely presented in bespoke foam lined boxes. The 600 comes with a micro fiber cloth to rub away the fingerprints that its mirror finish will inevitably collect. My turntable took a little longer to spin up to the correct speed with the 600 gram Codia stabilizer. If you have a heavy platter/small motor ‘table verify that it has power enough to achieve rotational speed with 300 or 600 grams of additional weight. I confined critical listening to two of my favourite albums. 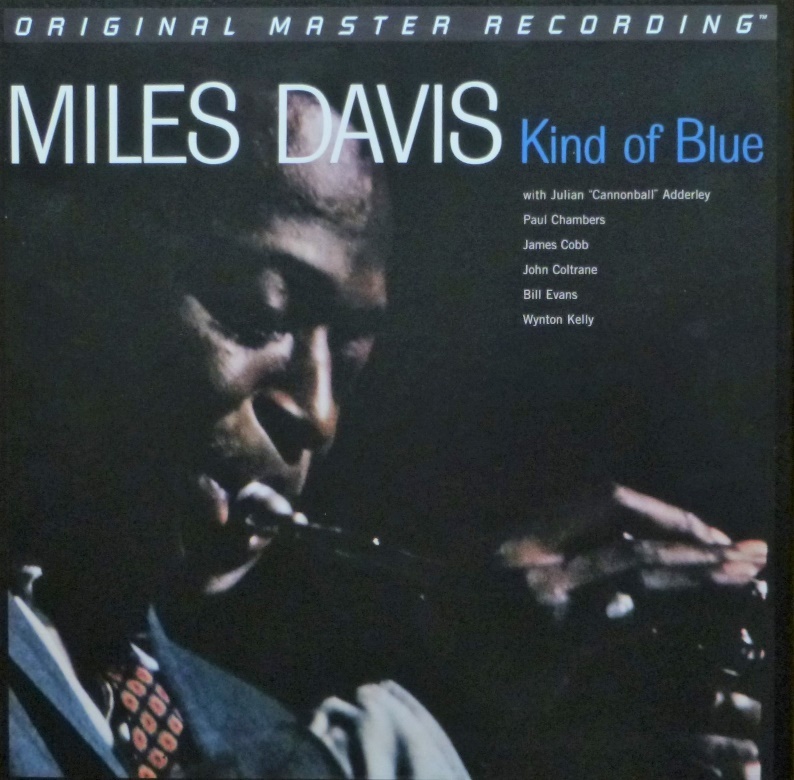 The first, Kind Of Blue, from Miles Davis is the double LP, 45-RPM Mobile Fidelity Sound Lab remaster, MFSL 2-45011. I based my assessment listening to the shortest track on the album, Blue In Green. I did a bit of casual listening before doing some serious evaluation, comparing the two Codia stabilizers, the Pro-Ject record clamp, and no stabilizer or clamp at all. There were two primary audible differences with Codia 600 versus no clamp at all. Firstly, the image of Miles’s trumpet was locked in place better in the centre of the sound stage, and secondly, the bass was clearer and better defined, with less bloat and overhang. With no clamp at all the trumpet position seemed to wander and was a bit diffuse, and the bass was a bit tubby and poorly defined. Substituting the Pro-Ject clamp, there was an improvement in image position and specificity, compared to no clamp. Bass control was improved, but not to the level of the Codia 600. I’d place the Codia 300 and the Pro-Ject clamp somewhere between “no clamp” and “Codia 600 level” of improvement, but mostly a bit closer to “no clamp” performance. The differences were subtle, I had to listen intently to hear them, but once noticed they were easy to focus on. 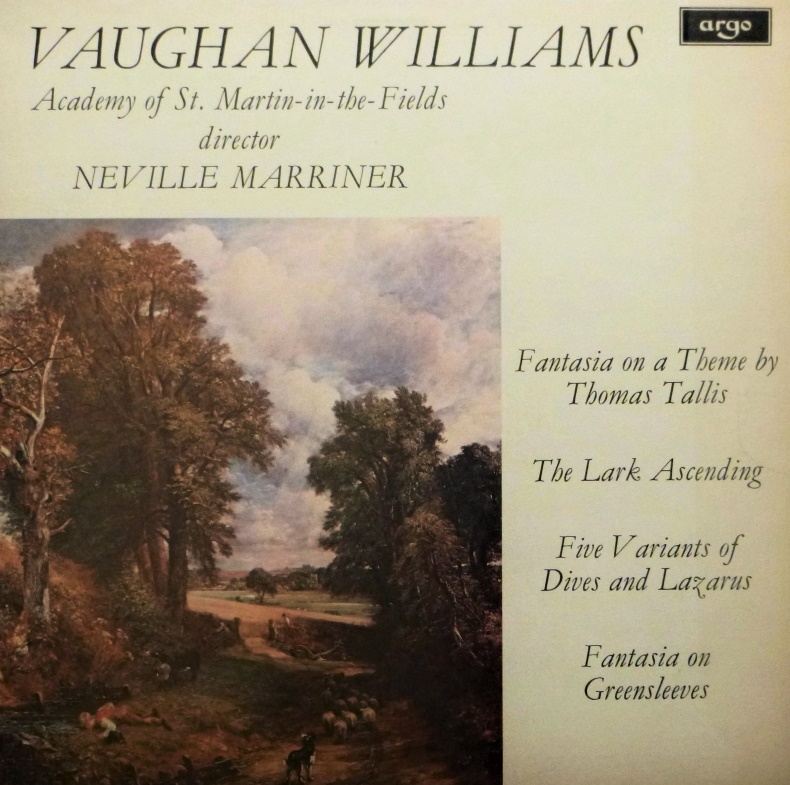 The second music selection was a Ralph Vaughan Williams collection performed by the Academy of St. Martin-in-the-Fields, Argo ZRG 696. The track used for evaluation was The Lark Ascending. As with the Miles Davis track, plucked basses were better defined. They seemed to start and stop faster as required. The second difference was, again like the Davis track, related to sound staging. With the Codia 600 it seemed as if I was sitting closer to the orchestra, and the sound stage was more three dimensional, compared to using no weight or clamp. This closer seat also delivered seemingly better detail. Whether this is considered an improvement will of course be system, recording and personal preference dependant. Again, the Pro-Ject clamp and Codia 300 netted similar kinds of performance changes, but to a lesser degree than the 600. After my own listening evaluations were finished, I took the Codia 600 over to a buddy’s house. 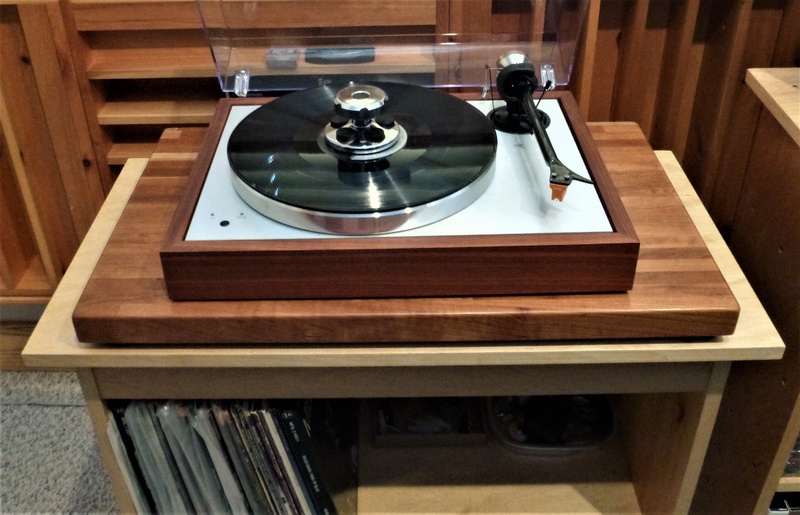 He has an ancient Lenco ‘table that has been refurbished and upgraded with a modern multi-layer plinth, Jelco arm and a Herbie’s Audio Lab platter mat and feet. An Ortofon Quintet Red feeds a K&K Premium SUT then into a Tubecad Tetra much like the one I built in the recent WoS phono project. I wasn’t sitting in the sweet spot so I can’t comment on any imaging improvements, but the bass was deeper, better controlled and more detailed. The sonic changes using the Codia stabilizers were subtle but positive, in my estimation, and more markedly apparent with the Codia 600. There is of course an 800-pound gorilla in the room holding a flashing neon sign that alternates between YOUR MILEAGE MAY VARY and SYSTEM DEPENDANT. I was taken to task by a WoS reader a while back for dissing his favourite 12AT7 tube. The tubes I was blasé about were perfect for his system and tastes. I consider it virtually imperative that you hear the Codias in your own system before committing to a purchase. The changes I heard, and consider improvements, another audiophile might consider detrimental. Though not likely to be purchased for use with a $500 dollar turntable sporting a $100 cartridge, I think the Codia 600 still out-classes my $1,500 ‘table and $800 cart. To be honest, I wasn’t expecting to hear an improvement but was pleasantly surprised. I’d love to hear what the Codia 600 would do with a state-of-the-art phono source. If you have a high-performance analogue front end, or at least higher-performing than mine, one of the Codias might give you that little bit extra you’ve been searching for. It might even seem like a bargain compared to the cost of an interconnect upgrade, or a new phono cartridge. So, to answer the question I posed at the beginning – would I buy more music or more equipment – in this instance, if most of my music collection was LP based (it isn’t), I’d have a hard time resisting the Codia 600. As for everyone else, you’ll just have to try it with your system and decide for yourself. 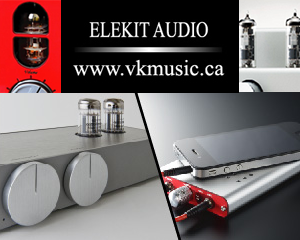 With thanks to Charisma Audio, Canadian distributor of Codia products. Editor’s Note: I’ve used various clamps and weights over the years, and I value them for much the same effects that Steve noted. Additionally, with LP’s that are warped but still listenable and desirable, they can make the difference between a record that’s playable, and one that goes out to the charity shop.